Do you want to try authentic Canary Island cuisine? 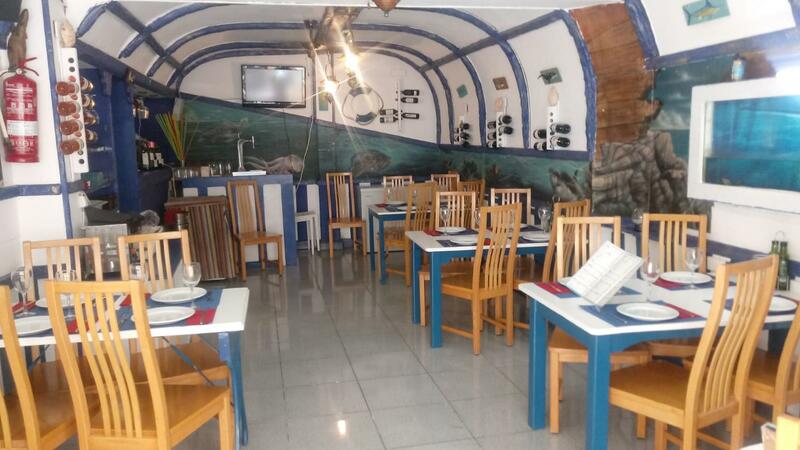 At restaurant La Marcelina Corralejo, located in the heart of the port of Corralejo, we can offer you a wide and varied range of dishes which are a fusion of the most typical food from the seven islands comprising the Canary Islands archipelago. Canary Island cuisine is noted for its delicious yet simple style, with dishes featuring the best meat, fish and seafood, influenced by various different cultures and the Guanche heritage. International and island food occupy a privileged place on the menu, and there are sample traditional dish options, where you can try each different dish. Enhance your experience by sitting either indoors (8 tables) or outside on the terrace at one of the 11 tables available there. The restaurant offers special menus for groups. We aim to offer unique events in the nicest surroundings on the island. Restaurant specialising in Canarian bar snacks, we have participated in several competitions and been finalists on the “Oliva Bar Snacks Trail” for four years in a row and once obtained the bronze medal. In Canarian cuisine, we work with fresh fish and shellfish, in particular we are famed for our jumbo king prawns (unique to this region) and tartar made to order specially for you. As for meats, we specialise in goat meat and baby goat, and our goat meat ham is very well known. Wide range of rice dishes and wines, with a selection of typical house wines and Canarian wines. The cherry on the top is offered by our delicious home made desserts. Wait no longer and book your table, you will have a wonderful evening.